It’s amazing what a general yard clean-up in the spring and fall can do for a property. Both are important to do to maintain healthy gardens and a healthy lawn – not to mention, it keeps your neighbors happy! When the days start to get noticeably shorter and the roads start to get noticeable clearer around here, you know it’s finally here – Fall. Although fewer things are flowering in the fall, perennials are passing, and lawns are covered in leaves, there’s plenty to do in the Fall to ensure a healthy and beautiful landscape next year. Fall is the time to cut back passing perennials and divide them if needed. Also, if you want a lot of color in your gardens in the spring, fall is the time to plant spring bulbs. Piles of wet leaves can suffocate the lawn and kill the grass, so it’s best to have us tackle a majority of the leaves in the fall so that a spring clean-up is quick and easy! Spring is a new beginning. There’s so much energy in the air this time of year and so much to do! 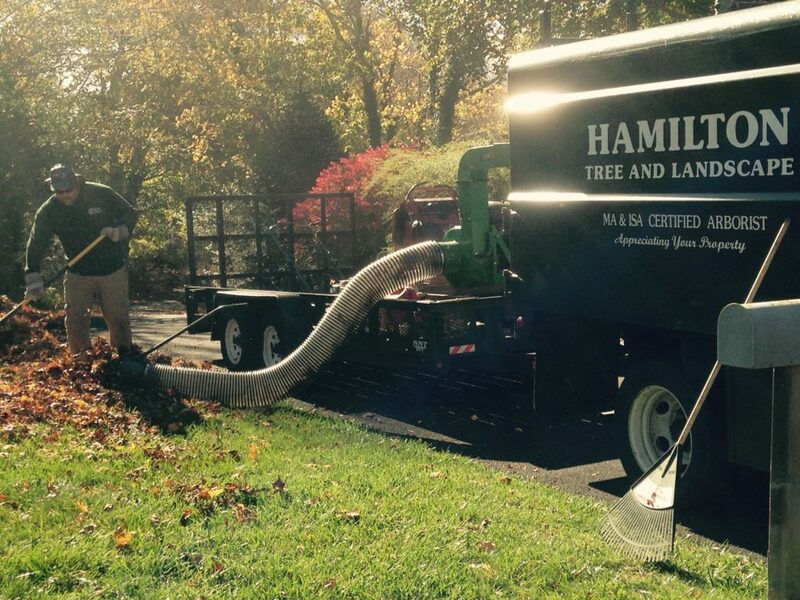 A good start to the spring season includes a general clean-up of leaves, sticks, and debris that have landed on your property throughout the winter. We start spring clean-ups as early as March to be sure our properties are ready for when it’s time to start mulching and planting. Please pass along a thank you and job well done to the crew who did all the work! My wife could not say enough about their efforts, their clean up! It was super to see people show up on time…even early…to do a thorough job! We will pass these words on to other neighbor’s!! Copyright © 2019 Hamilton Tree and Landscape. All Rights Reserved.